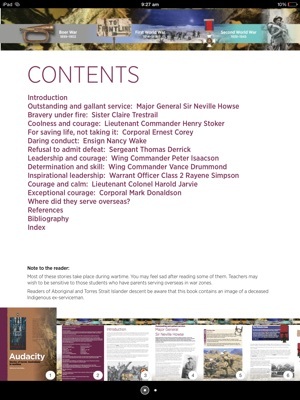 Audacity is the second book in the Century of Service series developed jointly by the Department of Veterans’ Affairs and the Australian War Memorial. 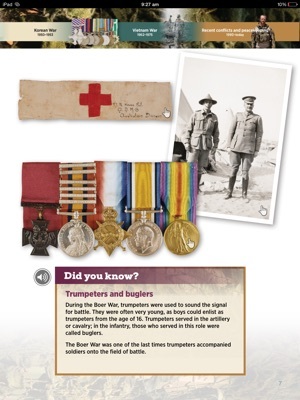 It highlights the bravery of Australian service personnel in conflicts from the Boer War to Afghanistan. 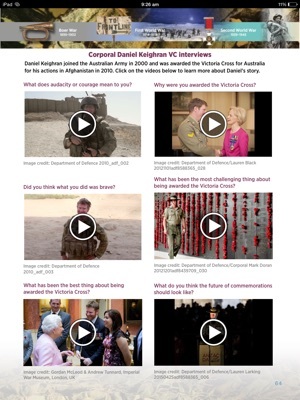 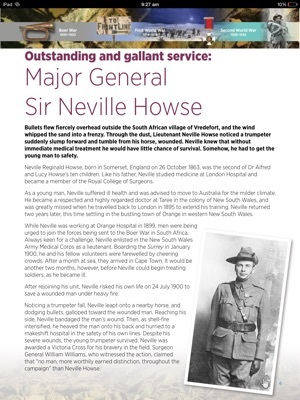 This eBook features exclusive content including two additional stories, an interview with Victoria Cross for Australia recipient Corporal Daniel Keighran VC, original medal citations, interactive timelines and artwork and medal galleries. 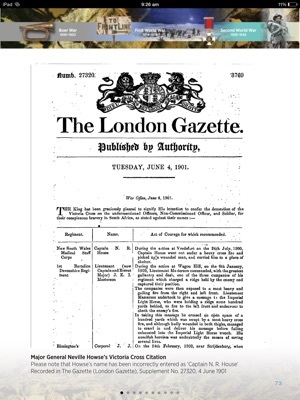 Readers can also test their knowledge by completing a multiple choice quiz or a Guess the Word game. 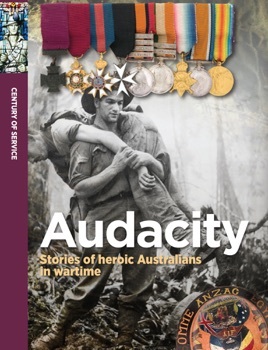 Audacity has been shortlisted in the Children’s Book Council of Australia’s 2015 Book of the Year Awards.